Home Joining WSC Learn to sail Visiting Clubs & Groups Sailing for the Disabled Committee Contacts Location & Accom. Learn to sail at Wimbleball. Wimbleball sailing club is a Royal Yachting Association certified Training centre. We have a fleet of training boats for all ages and abilities. All of our instructors are active club sailors, ensuring that you will receive training from knowledgeable and experienced sailors. 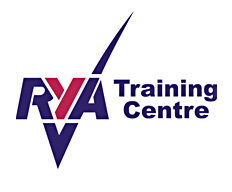 We offer RYA Learn to sail weekend courses for adults. The course is a relaxed introduction or refresher The course includes Free club membership (March until February). Get into racing weekends (No charge for weekend, except for hire of boats or membership (where needed). Dinghy Instructor Pre Sailing Assessment course on the 20th June. Details from Dave Stockton. 22nd July(provisional), 29th July, 5th Aug, 12th Aug, 19th Aug and 26th Aug. Throughout the school holidays the club offers 5 day cadet weeks for children from 8-18 . The courses follow the RYA Stages and are fun and informative. For more information on cost and dates please contact Debbie Ryles 'learn2sailwsc@gmail.com'. From 2019 these junior sailors will be known as 'Wimbleball Ospreys'. Dan See will be running these supervised practice sessions on Sunday mornings during 2019. He expects to start in May when the weather is getting warmer. As usual, watch for further messages from Dan as he regularly checks the suitability of the weather for these sessions. Contact Dan at 'dsee302@gmail.com' to register your interest. For information on powerboat courses contact charlotte.kelham@hotmail.co.uk or 01643 862849. Power boat level 2 training course on Saturday & Sunday 20th & 21st July 2019. Contact Charlotte to book your place. We hope you want to continue sailing. As our course fee includes membership of WSC for the remainder of the club year, you can use the club for the remainder of that time as a club member. PRACTICE! -	Use one of the club boats to practice. (See notice board for charges). -	Try to get a sail with another member which will give you the chance to sail in different boats. -	Buy your own dinghy. Your first boat, to gain experience, can probably be bought at fairly modest cost. This can later be changed as your ability and sailing aims develop. -	As your skills develop, try a further course. -	Have a go at racing. Join in and learn from others. -	Come to the club and make contact from other members. There are usually people about ready for a chat and give advice and opinions.